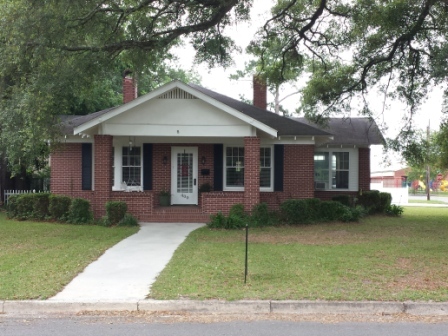 Charming 3 bedroom and 1 bath brick home situated on corner lot, shaded by a huge oak tree. New craftsman features includes: whipped ceilings, textured walls, hardwood flooring, plenty of cabinets in this remolded kitchen is sure to please, 10 inch baseboards and 6 inch crown molding. Relax in the 14' x 9' sun room. Home is large with 1,704 SQFT. Has fireplace in living room and in 2 of the bedrooms. Call to see this jewel of a home today!